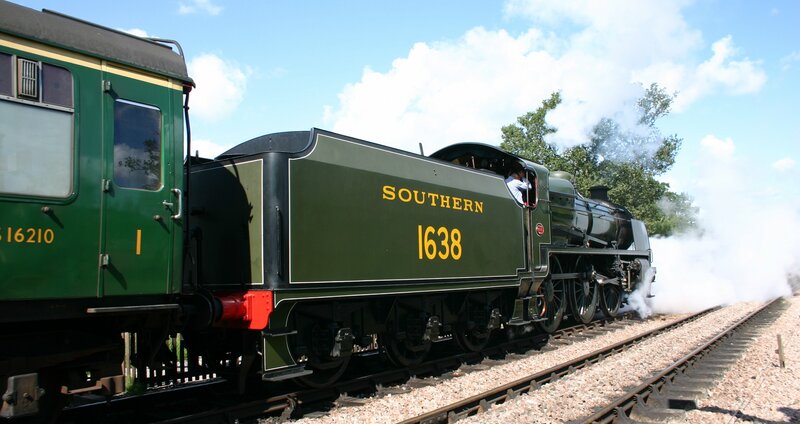 Today at Locoyard we look the Southern Railway U class. It is in many ways an example of a successful, general purpose steam engine that did it’s job well without capturing any headlines. 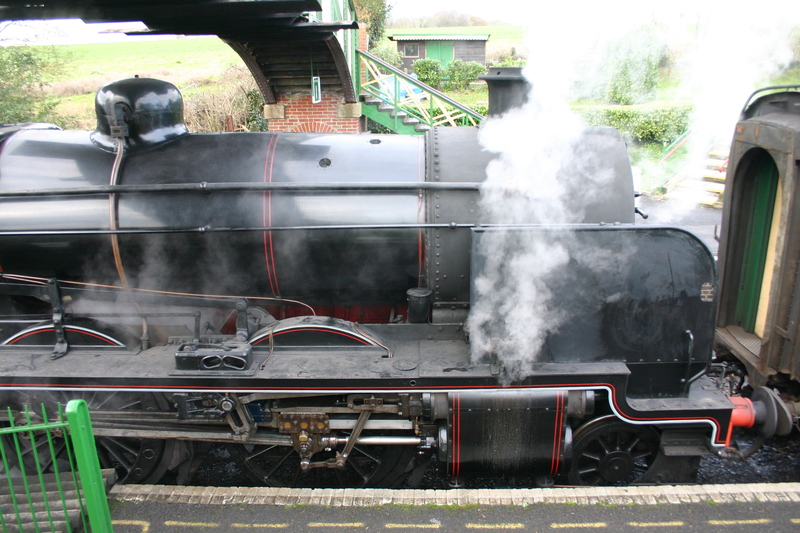 Four examples of the class are preserved; all four having worked in preservation and all four been popular, reliable and well liked at both their home railways (two on the Bluebell railway and two on the Swanage Railway – formally on the Watercress Line) plus at other lines they have visited. Indeed, U class 31806 made a particularly impression on the Severn Valley Railway. 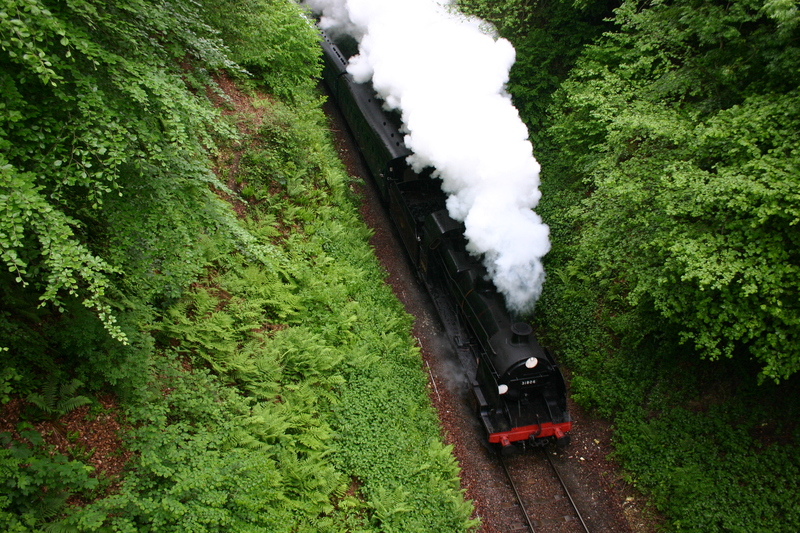 However it’s roots lie in a terrible railway disaster… The U class has it’s ancestral routes in a large tank engine. 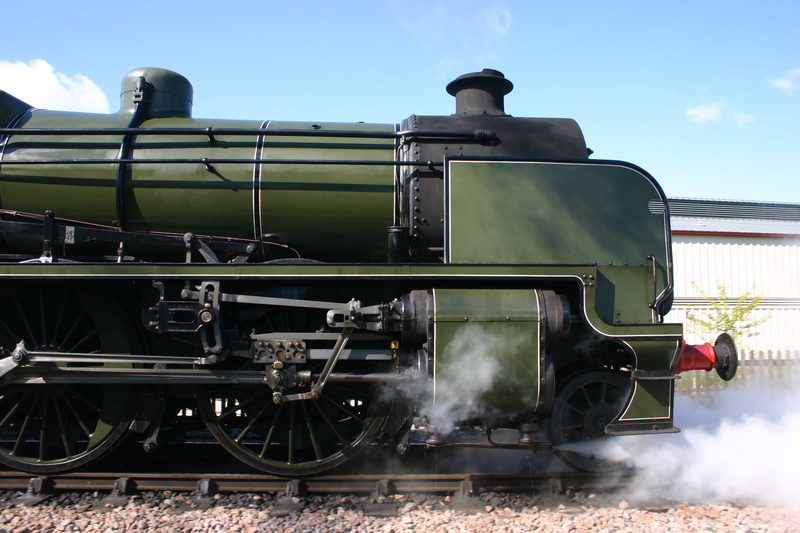 Based on the experience of the South East and Chatham Railway’s (SECR) N class; Maunsell built a 2-6-4 Tank engine in 1917 for fast passenger services. 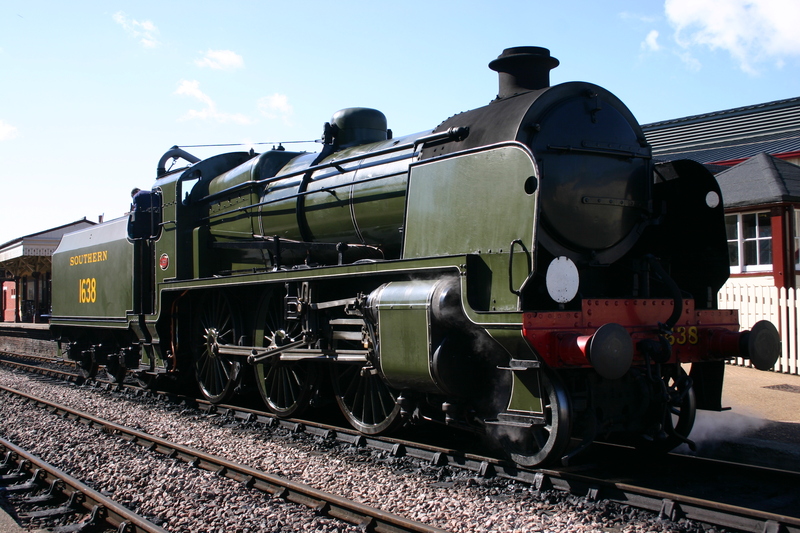 The SECR K class (below) had large 6′ driving wheels and were not necessarily bad locomotives in the sense that they initially performed their duties fairly well on good track, with a limited range being their main point of criticism. 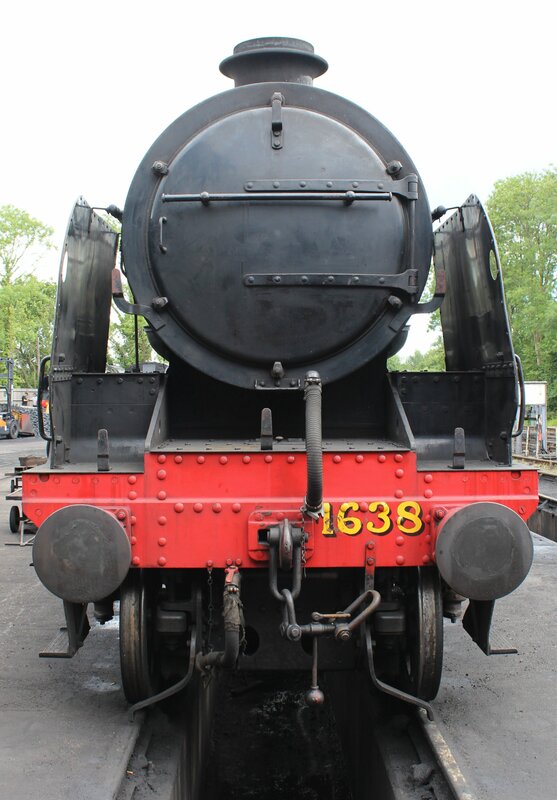 However, an inherent problem with tank engine’s are their higher centre of gravity which is one reason why few tank engines have been produced for fast passenger work. Such a problem of course is exacerbated by large driving wheels, such as those on the K class. On well-laid track, this was not a major issue with the class; although they were not popular with their crews. When running over the speed of 55mph they had a tendency to roll; which didn’t win them many fans. SECR was absorbed into the Southern Railway in 1923 and the Southern ordered more K class locomotives to be constructed to replace other long ago life-expired types. 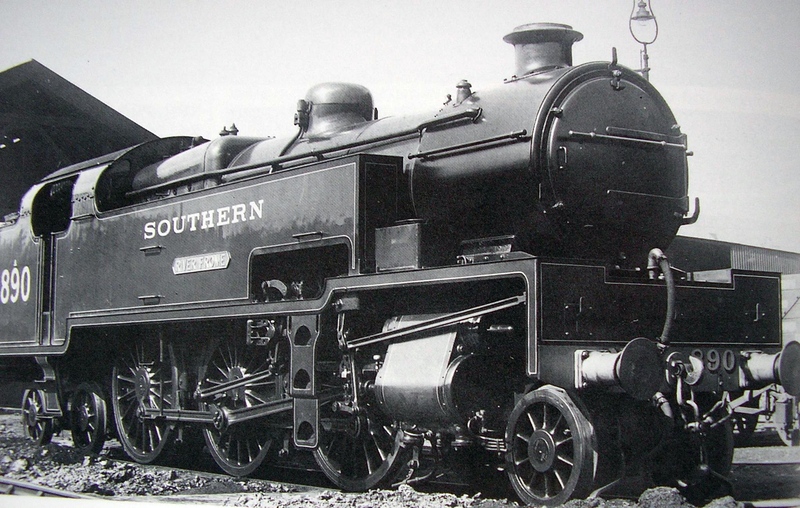 As well as build more, the Southern also named the K class after Rivers; hence they became known as the River class. As the type’s numbers increased, as did their distribution and they started regular running on more lines including some with poorly laid track. The first derailment of a K class was in 1927 at Wrotham and five months after this time was a second was at Maidstone. Fortunately these did not result in casualties. A third derailment again proved a fortunate affair with the locomotive derailing then re-railing itself. Alarm bells should have been ringing that something needed to be done before anyone was hurt. Unfortunately this was not the case. On 24th August 1927 it was a stormy day in a wet year, which meant the poorly laid track was in an even worse state than before. L class A800 River Cray was in charge of an eight carriage train from London Cannon Street. 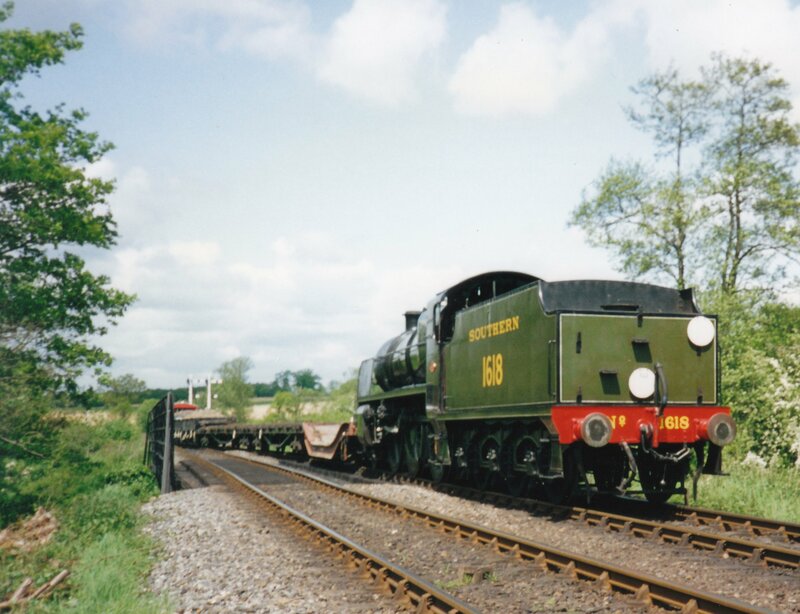 Despite being aware of the locomotive’s tendency to roll the driver kept the regulator open as the train descended Dunton Green. At a known problem spot – a set of points in the Darent Valley; the crew noticed a knocking sound. Closing the regulator and applying the brakes the front driving wheel derailed at a cutting with an over-bridge. The rolling locomotive hit both sides of the bridge. The locomotive continued off-rail with the front three carriages, the fourth carriage, a pullman car; was crushed under the bridge. Thirteen people were killed in this terrible crash that has known as the ‘Sevenoaks Accident’. 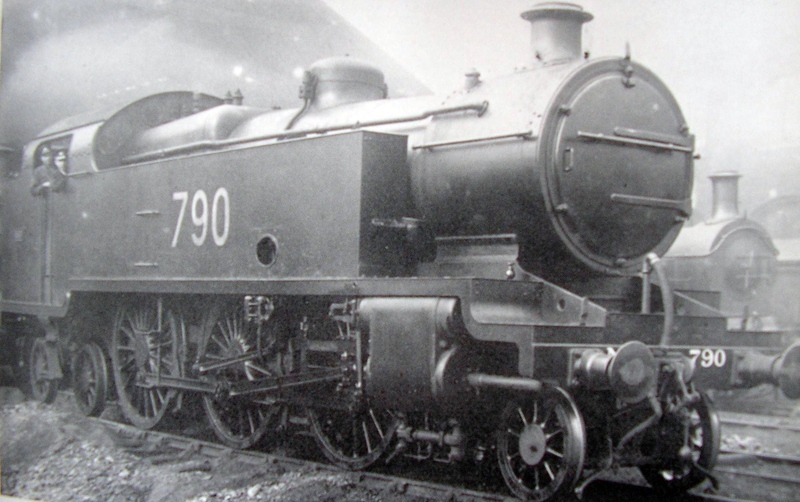 The Southern Railway’s reaction to the disaster was to withdraw the class and convert them to far more stable tender-engine 2-6-0 moguls and so created the U class. It is debatable whether the K class was the main source of the problem, as many pointed out that if the track was in better condition the tragedy would not have happened. However, there is no doubt that the conversion produced a far more stable locomotive and the U class became a very successful go anywhere – do anything class. Not all member of the U class were K-class conversions and the Southern also built new U class locomotives. Twenty of the U class started life as a K class, whilst another thirty U class were built as tender-locomotives from day one. 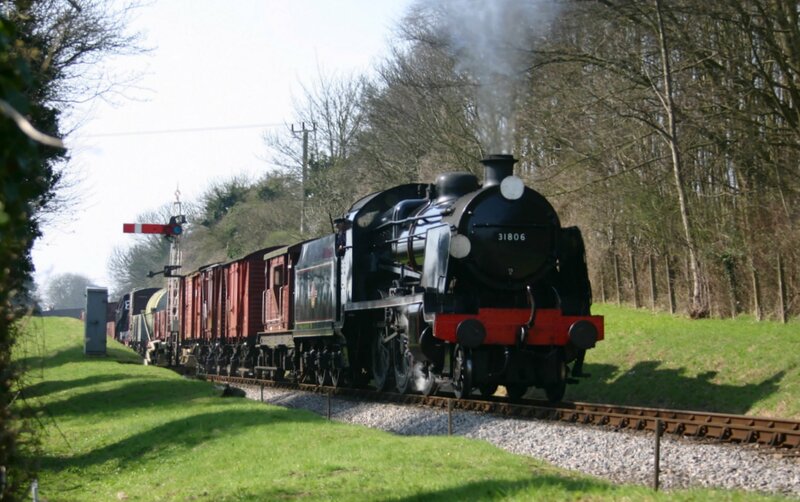 The redundant tanks and bogeys of the River class were recycled by being used in Maunsell’s W class (click here for more). The U class lasted to the end of UK steam and four found their way to Woodhams scrapyard in Barry, South Wales. 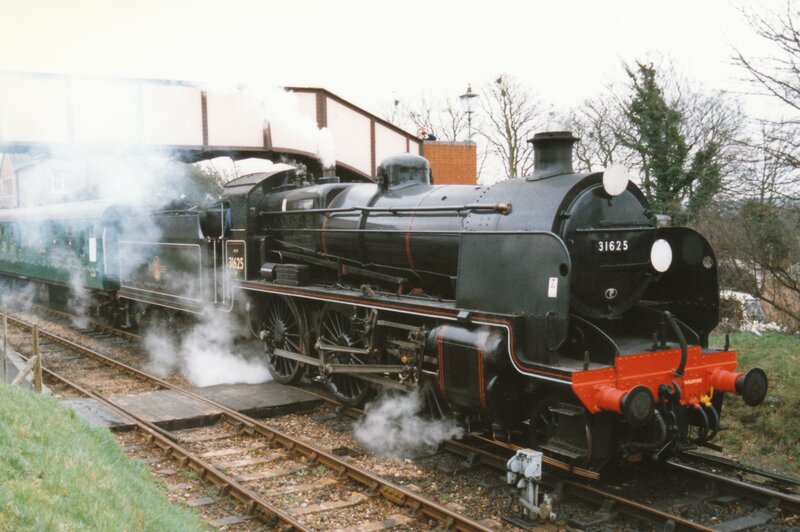 All four were rescued and preserved, but only one is an ex-K class example – BR 31806 (above); that currently is in working order on the Watercress Line. 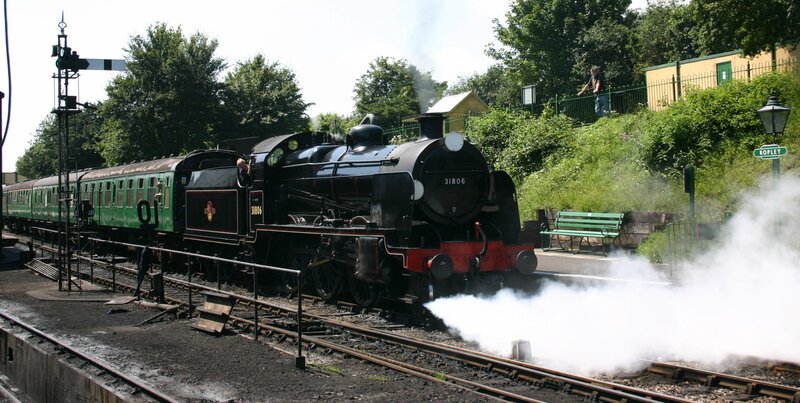 31806 was originally A806 ‘River Torridge’ and was rebuilt in 1928. So how can you tell the difference I hear the enthusiasts (who do not know!) ask? The obvious difference is the cab spectacles. Ex-K class U class locomotives (above) have an extra pair of windows that the other U class locomotives (below). The other difference is the height of the running plate. 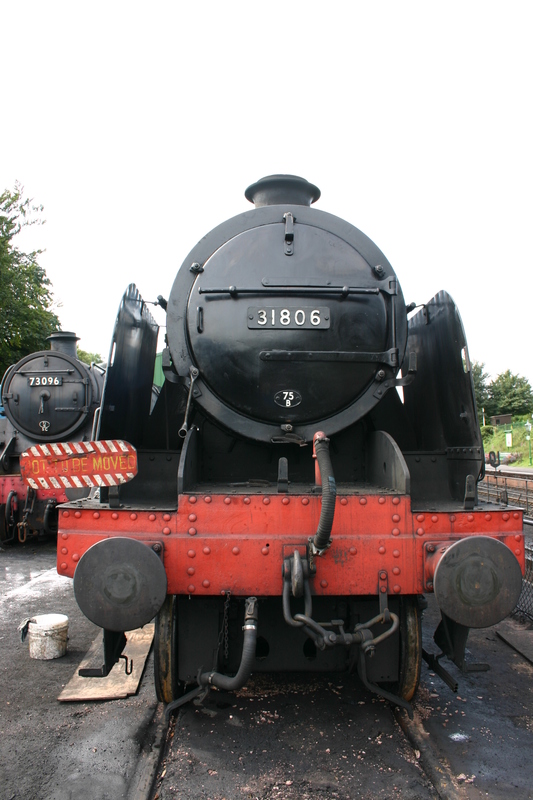 The ex-K class locomotive’s (above) have a lower running plate with larger splashers than the standard U class (below). Not the diagonal frame extension above compared to the curved below. So there’s much more to the humble U class than first meets the eye. It is a successful, reliable and useful type, but it’s history is steeped in tragedy. Another interesting and informative piece, Dave. Cheers, glad you enjoyed it! 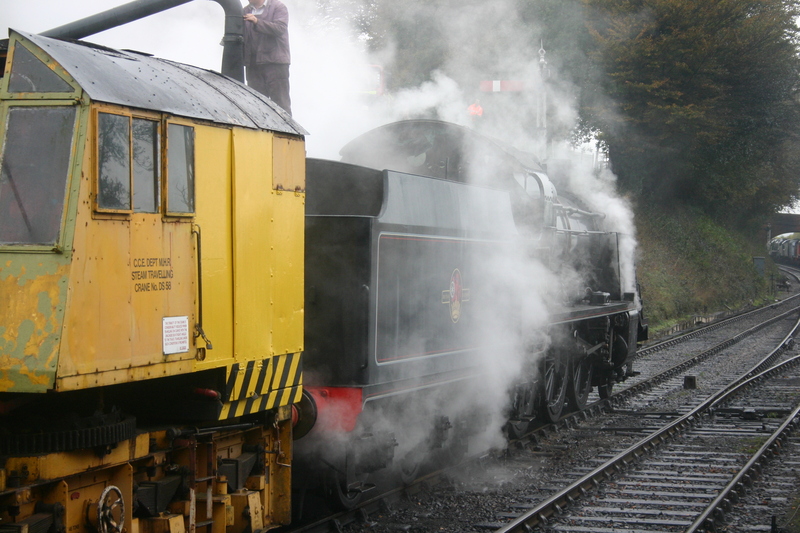 Excellent story depicting the history of this Class of locomotive. Very informative.